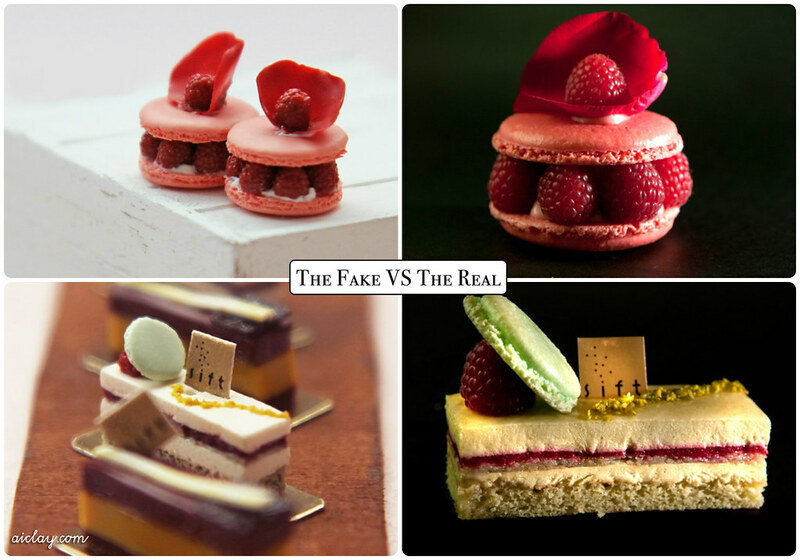 .. is to have my miniature food showcased in actual bakeries and patisseries, and even other F&B outlets next time as I definitely hope to venture beyond western desserts. Currently, I'm in the talks with some cafes in Singapore to introduce AiClay's works to them, as unique branding points. Imagine having your staff wear pins with your signature cake, or having an entire collection of miniature fruit tart charms which your customers could purchase on top of buying the real fruit tart. That way, they'll get to eat and have their cake (or insert with food of choice) as well! 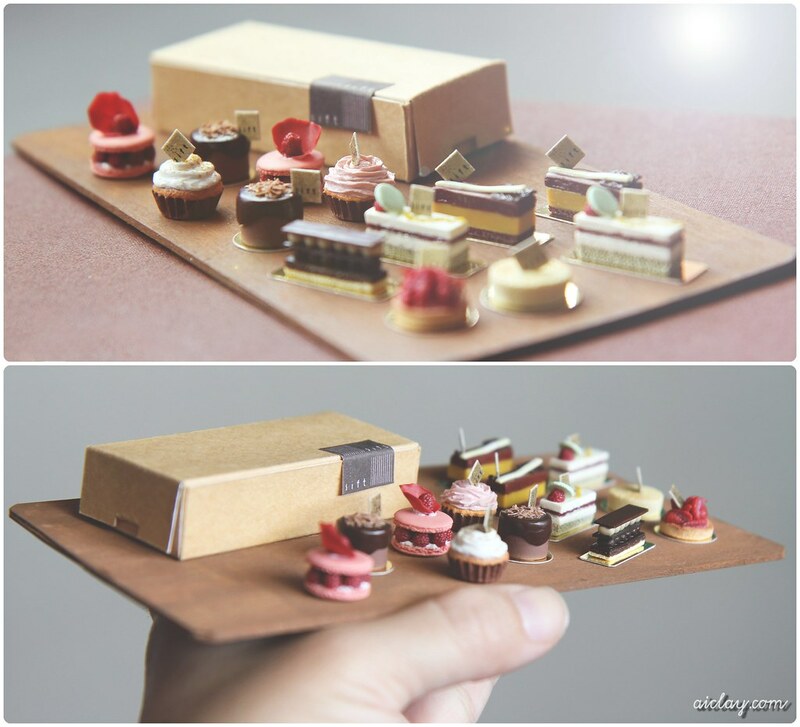 So while doing some research, I came across the commission which I made for Sift Desserts in 2012. It was commissioned by the lady boss's friend as a gift for the owner of Sift, and I learnt and had so much fun making all the little cakes and tarts, all modelled after the real thing. As Sift was located in Hong Kong, I could only rely on photos which she had provided. 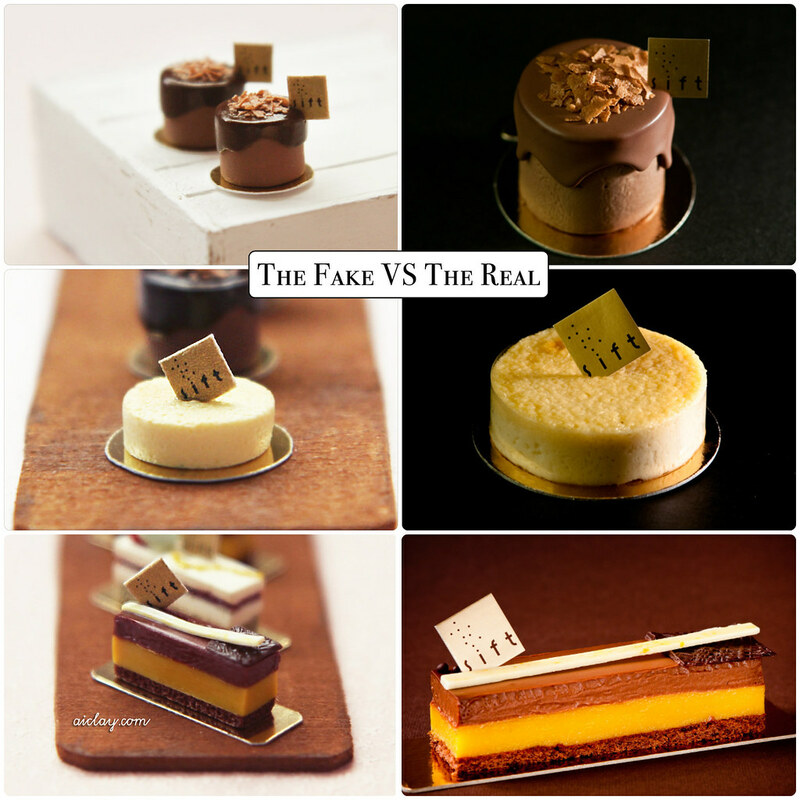 P.S I'll definitely be heading to Sift Desserts if and whenever I go Hong Kong. The desserts are so delicious looking! 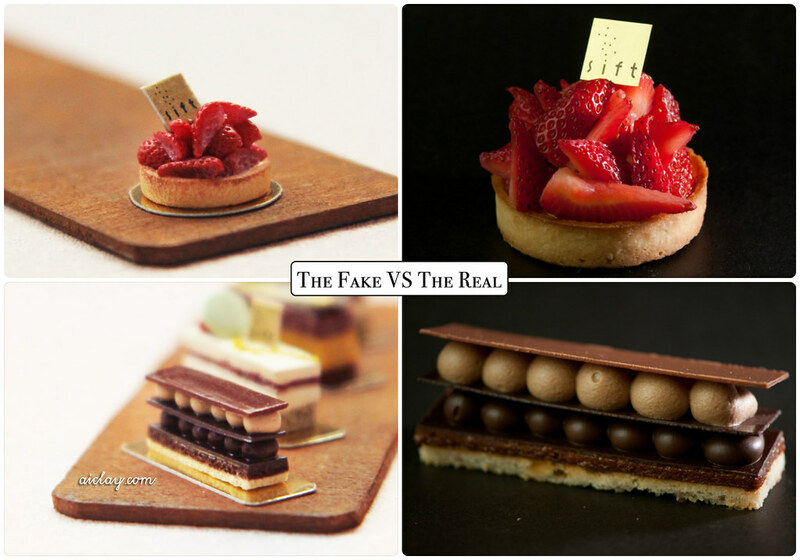 All photos of the real desserts are property of Sift Desserts. And here's the photo of the desserts on my hand, for size reference. They were all so tiny and delicate it broke my heart a little bit when I had to send them off in their customised brown box.